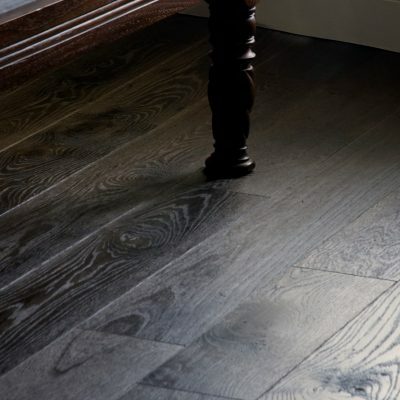 All of the hardwood flooring planks we construct use timber that has been responsibly sourced and is from legally managed forests. Sounds good, but what does it mean? Responsibly managed forests mean that trees are, perhaps ironically, still cut down. However this process is done with the minimal possible impact on the local environment. Managed forests are sustainable sources of wood, when individuals purchase responsibly sourced wooden flooring they can rest assured that they are helping to protect the world’s trees and forests. Why Choose Responsibly Sourced Flooring? Helping the survival of other species of plants, animals and insects by ensuring that their environment is responsibly managed. Locking carbon away in a product which has a long lifetime and can then be recycled. Enables customers to avoid the harmful chemicals and pollutants which can be released from non-responsibly sourced timber. By using timber from irresponsible sources, an individual is contributing to the deforestation of an area half the size of Great Britain every year. This deforestation occurs across the world, in the northern hemisphere, in the southern hemisphere, in temperate environments and in tropical environments. Half of the planetary landmass used to be covered in forests. Often they are irreplaceable once they have gone, having massive social, environmental and economic impacts. Innumerable species of animals and an uncountable number of human beings depend on forests for their very existence. Forests provide 1.6 billion of the world’s poorest people with a means of survival. Due to the catastrophic deforestation which continues to occur in Borneo and Sumatra, the UN has said it is likely that the orangutan will be extinct by the 2020’s. The indirect consequences of irresponsible deforestation are a major contributor to global warming. A Greenpeace report revealed that the deforestation and burning in Indonesia of forests and peat plants, were responsible for unleashing 1.8 billion tonnes of greenhouse gas emissions. According to the Greenpeace statistics just 0.1% of the global landmass is contributing 4% of all the emissions. Responsibly and sustainably sourced wood prevents the occurrence of these ecological atrocities. Due to this all the wood which we use for the manufacture of our wooden flooring panels use timber which conforms to the EU Timber Regulation. The Regulation prohibits the placing and use of illegally sourced timber in the EU market, this is regardless of whether the timber’s origin is domestic or imported. In addition, a number of our product ranges bear the FSC stamp; these include Urban Nature, Eiger Grande and Eiger Phoenix.